When my father, Fred Schlafly, reached the age of 75, and realized he could no longer compete in the sports he had enjoyed throughout his life, he turned to my mother one day and said: "Phyllis, you probably have about 10 good years left." That conversation took place more than 30 years ago. And those 30 extra years were good years: good for us, of course, her family and friends who received her wise counsel; and also good for our country, as her political activism continued to influence the 2016 election. They were good years for Phyllis, too, despite the increasing burdens of her old age. She was able to watch her family grow to 25 descendants, with more on the way. In her final days, she had the great joy of seeing the infants and toddlers that my father never knew. My parents were partners in their life together, and Phyllis depended on Fred for everyday reinforcement. He supported her career, screened what she wrote, and coached her on what to say. She called him "the censor." Fred Schlafly's influence is apparent in Phyllis' most widely read article, "What's Wrong With 'Equal Rights' for Women?" First published in February 1972, that article has since been reprinted in dozens of college textbooks and is considered the classic expression of Phyllis' opposition to feminism. The 1972 article set forth the proposition that our public laws and policies, as embedded in the fundamental law of our nation, should reinforce the family as the basic unit of any society. Confronting the burgeoning feminist movement and its principal objective, the Equal Rights Amendment, Phyllis' simple but powerful argument seemed controversial and even retrograde to liberals. As Father Brian Harrison explained in his homily today, the idea that a nation's laws should recognize the basic social unit as the family, rather than the individual, is grounded in the social teaching of the Catholic Church. It's the central insight of the pope's famous 1891 encyclical Rerum Novarum, which launched Catholic social teaching, and it has been reaffirmed many times since then. 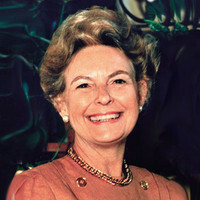 Phyllis expressed the idea in a way that attracted tens of thousands of people, mostly of other faiths, to what she called the "pro-family" movement. Many of those she touched and inspired have honored our family by coming here today. We now take Phyllis to rest beside her husband, my father, in the place she selected many years ago. Like every place she ever lived, she decided the burial plot needed another tree — a maple tree that that turns bright gold in the fall. She selected a tree, planted it and drove there frequently with buckets of water, to make sure the tree survived. Since we buried my father there, 23 years ago, the little tree that Phyllis planted has become a powerful, majestic, stately canopy, and next month its color will be gorgeous. Reflecting on my mother's long life, the singular quality that explains her effectiveness is that she was always prepared. Whether her task was to give a speech, conduct a meeting or meet a deadline, her careful preparation made the job seem effortless and gave her time to deal with unexpected events. Phyllis was never at a loss for the appropriate words. She faced crisis and conflict with grace, and she infuriated opponents with her unflappable good humor. In the parable of the bridegroom (Matt. 25:1-13), Jesus tells the story of 10 women who were called to light the way for a wedding party. Five of the women brought no extra oil, and their lamps went out before the wedding party arrived. The other five women came prepared with extra oil in case the wedding party was running late. The sensible five were admitted to the wedding feast from which the foolish five were excluded. Phyllis would have been one of the five wise enough to bring an extra flask of oil. Even in her final year, she was planning for the future, including America's future as well as her own. Phyllis Schlafly was a wise woman, a sensible woman, a faithful woman. Her lamp would not go out, and I believe she was prepared for today.